Ligand fishing is a technical method to separate bioactive compounds from complex mixtures with high selectivity. The method is achieved by interacting receptors from ligands on the basis of intermolecular affinity [7–9]. Ligand fishing can be carried out with or without the ligand immobilized on a carrier. The captured receptors can be separated by washing and detected by mass spectrometry or other detectors. Due to high selectivity of the ligand fishing method, it’s possible to obtain bioactive compounds for a specific target from complex systems directly. At present, ligand fishing is widely applied to separate active compounds from complex products including plant extracts and cell extracts . It has been widely reported that magnetic beads, hollow fiber membranes, etc. were applied as carries for ligand fishing to discover active compounds from the TCM. Liu et al. 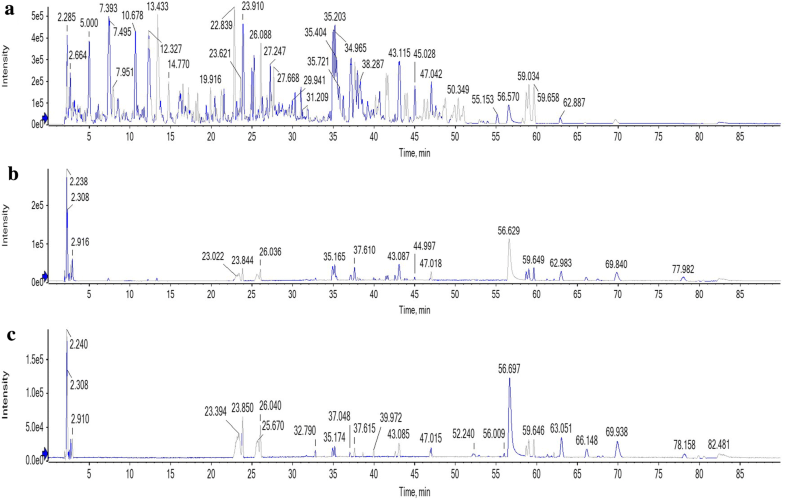 prepared nano-magnetic beads bonding with bovine serum albumin and used chromatography-mass spectrometry to screen active ingredients in the Pueraria lobate. Thirteen active ingredients were screened. Deng et al. performed a new screening assay based on ligand fishing using magnetic Fe3O4@SiO2-COX-2 combined with high-performance liquid chromatography-diode array detector-mass spectrometry to screen and identify COX-2 inhibitors from green tea. It was a simple, robust and reproducible approach to discover COX-2 inhibitors from complex matrix. Tao  established a hollow fiber adsorption screening method for triglyceride inhibitors to discover active compounds in lotus leaf extract. 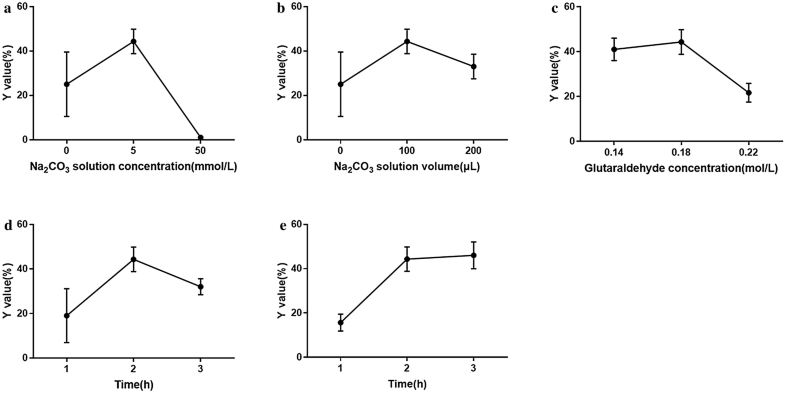 Three active compounds were found having inhibitory activity on triglyceride. 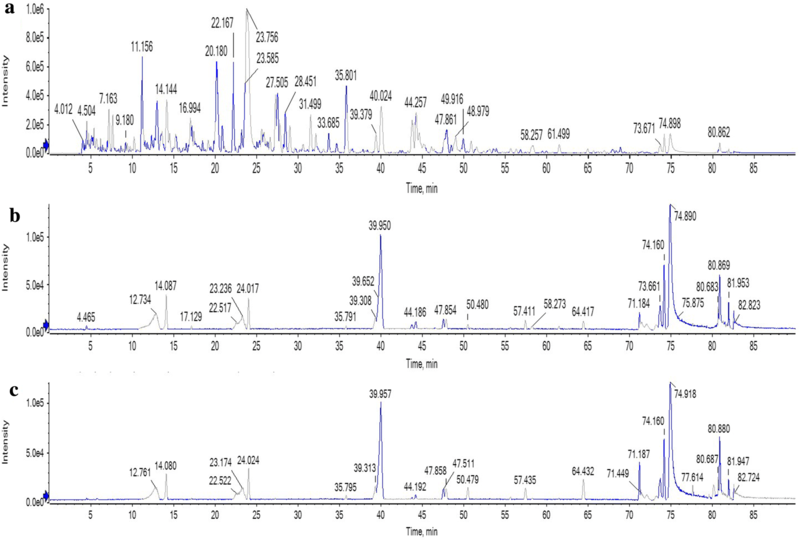 Overall, ligand fishing is quicker, more effective, and more sensitive for discovery of active compounds in TCM compared with traditional methods . The paper device, a kind of analytical device made of paper, is developed rapidly in recent years. Since Martinez et al. 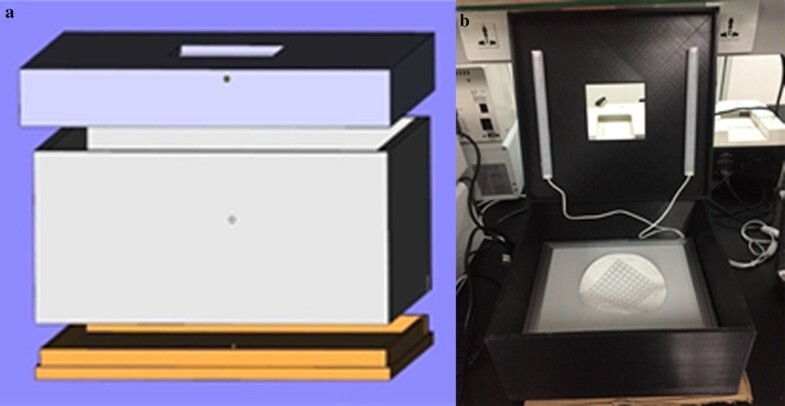 introduced paper as microfluidic device, paper devices have been widely used as analytical devices in chemical reactions and environmental monitoring. It showed that it’s low-cost, easy to use, and capable of multiplexed chemical analysis [15–18]. The paper devices own high specific surface area which makes it easy to combine molecules to adsorb proteins. Used paper devices can be handled easily through burning them, reducing pollution caused by experimental consumables. White paper provided ideal background signals for observing colorimetric reactions. Kaewarse et al. 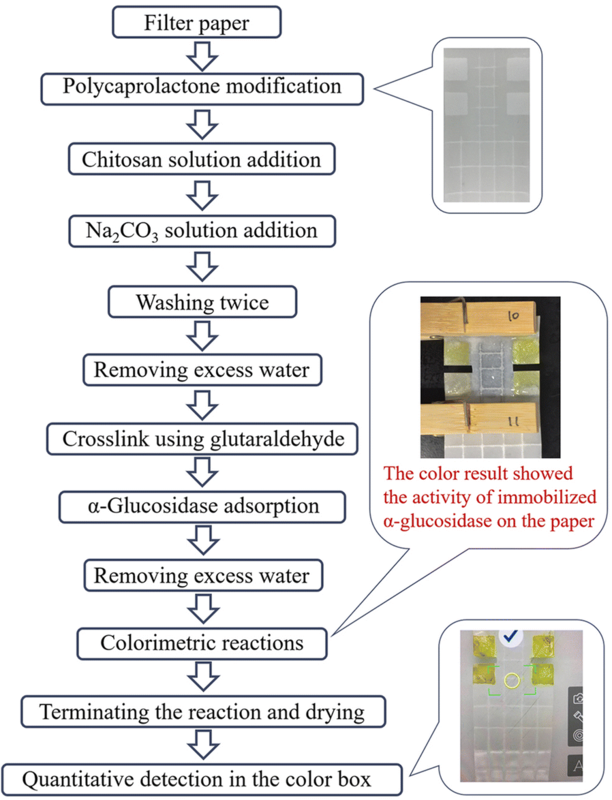 performed a reduction reaction of nitro blue tetrazolium on the paper-based chip to detect enzymatic activity and the results of the reaction showed purple on the paper. Qualitative and quantitative results can be obtained combining some portable detectors such as cellphones and cameras. Therefore, it is possible to judge the immobilization effects of enzymes on paper easily. There are also some examples of paper devices with commercial successes, such as pregnancy test strips and pH test paper. 13020_2019_236_MOESM1_ESM.pdf Additional file 1. Minimum standards of reporting checklist. 13020_2019_236_MOESM2_ESM.docx Additional file 2. The fixed parameters in the experiments for optimization of enzyme immobilization.